What a great direction to take this prompt! I do love that classic Great Gatsby cover. :) Have you ever heard of the brand Out of Print Clothing? 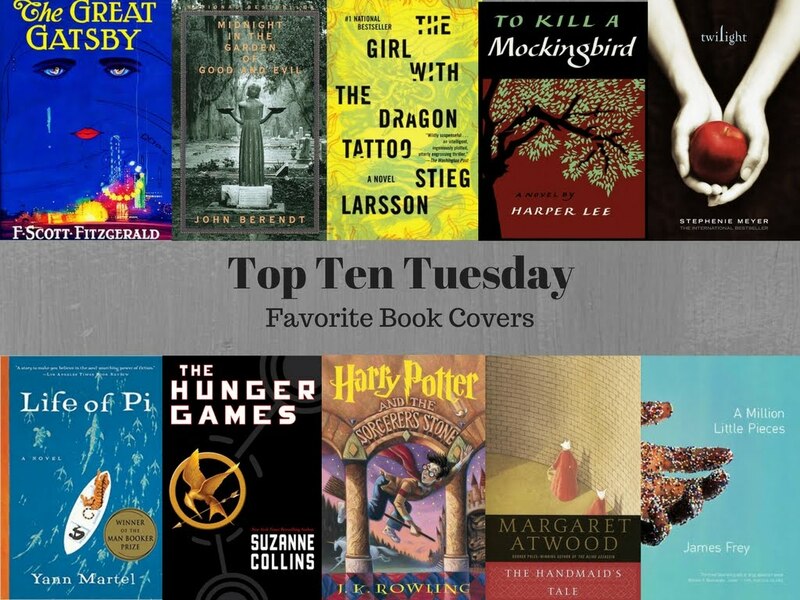 If you love a great book cover, I feel like you might really like their stuff! I love Out of Print clothing...but I just can't justify spending that much money on a t-shirt I wouldn't actually end up wearing all that often :( Maybe one day I'll treat myself! Whoever designed the cover for The Girl with the Dragon Tattoo did an amazing job. I have a different edition–a clothbound set that is very minimalist. I like it even more than the original cover, which is saying a lot. I also donated my copy of To Kill a Mockingbird just so I could have an excuse to buy the edition with the cover you featured here. It's so pretty! The version of TKAM that I read in 10th grade had a different cover, but I actually managed to score the one with this cover at a thrift store so I got it for like a dollar! I had no idea that these books were available clothbound, but from what I see on the google image search, those are amazing!